Sort of what you’d expect the second time around: the material isn’t as strong, the Dead connection is weaker, but Buddy Cage and Nicky Hopkins are classy adds. Kronomyth 2.0: I know you, glider. Well, you knew that Jerry Garcia wasn’t going to stick around forever. He’s something of a big, fat bumblebee, flitting from one flower to the next in an endless quest to cross-pollinate the world. The New Riders had a pretty good plan B, though: invite Buddy Cage to fill the pedal steel seat and add Nicky Hopkins to play piano. 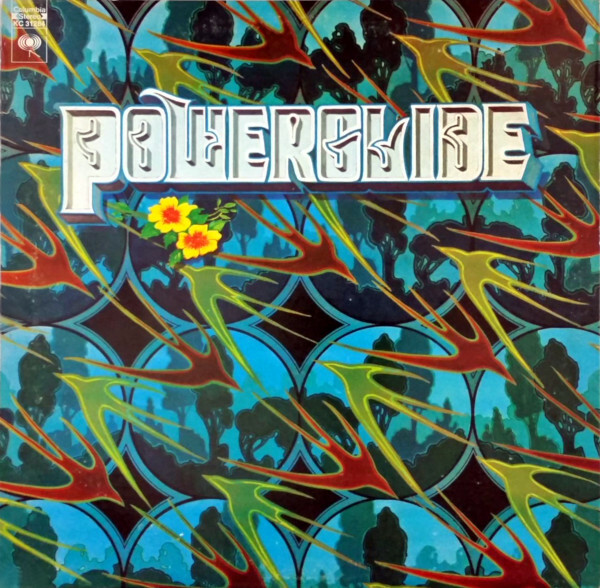 Those additions, plus the emergence of Dave Torbert as a second songwriter, make Powerglide less of a disappointment than it might have been. I still prefer their first album, which was honed over several years of playing with the band. What you get here is competent picking and playing, a handful of exciting (if too-short) solos from Cage and a decent enough mix of originals and covers. John Dawson’s “Lochinvar” is one of the prettiest things he’s ever written, a match for anything on their first. Other highlights include Torbert’s “Contract” and a playful cover of the old Lead Belly song, “Duncan And Brady.” The rest of the record is more or less what you’d encounter on the less inspired efforts by The Byrds, The Flying Burrito Brothers and Poco. In the cleaner compact disc versions, you can better appreciate the interplay of guitars, pedal steel and piano. When the group adds an extra set of strings (banjo, mandolin, dobro), the results are usually a bit more interesting. It’s not the clever chemistry you’d encounter with the Dead, but that would apply to most bands, and no one expected the New Riders to outride the Dead. They were expected to stay in the saddle long enough to entertain the audience, and they do that here on Powerglide. As for whether or not the band gets the better end of its covers, I’m sure there are great versions of “Dim Lights, Thick Smoke,” “I Don’t Need No Doctor” and “Hello Mary Lou” in the world, and the New Riders don’t leave us any richer. The group chose fewer covers on their next album, Gypsy Cowboy, so maybe they got the message that playing other people’s music wasn’t their ticket to the big show. Powerglide doesn’t answer the question of whether the New Riders are in it for the long haul; instead, it holds their place while the band sorts out its next steps. Feel free to pick it up if you’re interested in the continuing story, only don’t expect the sage wisdom of the first. Buddy Cage (pedal steel guitar, dobro), John Dawson (acoustic and electric rhythm guitars, vocals), Spencer Dryden (drums, percussion, broom, whistle, whoopee), Nicky Hopkins (piano), David Nelson (lead guitar, mandolin, vocals), Dave Torbert (bass, electric rhythm guitar, acoustic guitar, piano, vocals) with Jerry Garcia (banjo on A4/B4, piano on A5), Billy Kreutzmann (percussion on B4/B5). Produced by Steve Barncard and the New Riders; engineered by John Fiore. Cover artwork by Kelley and Mouse Studios. Inside artwork by Lore Shoberg. Released on elpee and cassette in April 1972 in the US (Columbia, KC/CT 31284), the UK and the Netherlands (CBS, S 64843), Australia (CBS, SBP-234116) and Japan (CBS, SOPL-45); reached #33 on the US charts. Re-issued on compact disc on April 16, 1996 in the US (Columbia/Legacy, CK-64912). Repackaged with NRPS (first album) on 2-for-1 CD in 2002 in the UK (Beat Goes On).